How to find out the terminal command of an application? I want to use some applications shown on the Unity Launcher in a terminal, but I need to know the appropriate command to run them. How can I achieve that? 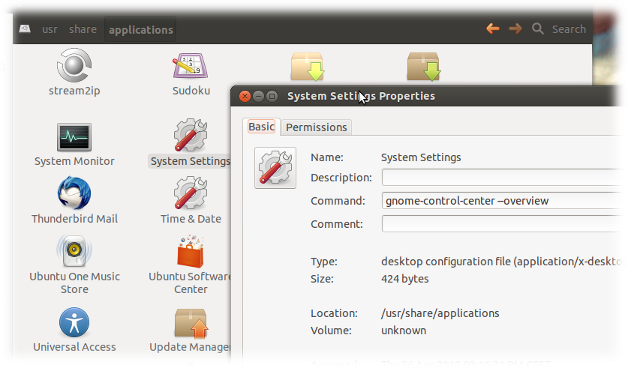 Most default applications will have a .desktop file located in /usr/share/applications. dpkg -l | grep "application name"
This will search through all your installed applications, as well as search their descriptions; searching the description is the important part here, because the description usually contains the name of the application, even if the "command" to run it does not contain the application name. dpkg -l | grep "disk usage"
alaa@aa-lu:~$ dpkg -l | grep "disk usage"
Look at the second column. The command to actually run the Disk Usage Analyzer is baobab. if WM_CLASS doesn't work, then try with WM_COMMAND. 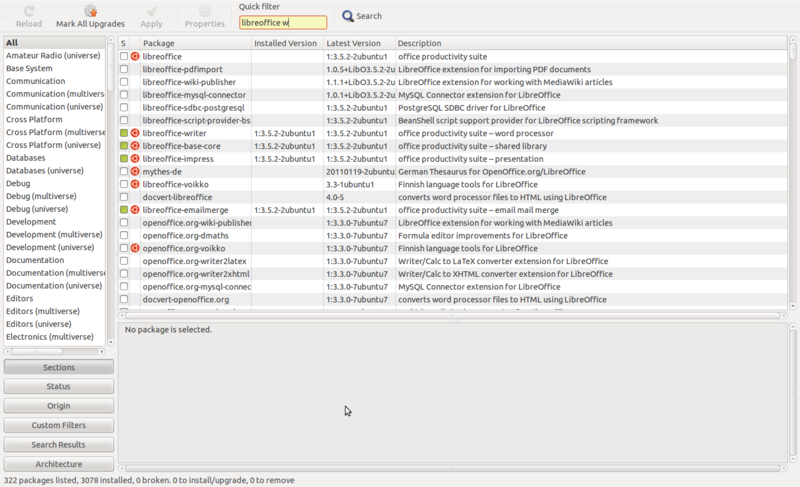 It appears as the first installed result (little green box), with the full package name libreoffice-writer in the first column. You can see that to directly launch LibreOffice Writer, you can use one of two commands: lowriter or libreoffice --writer. Both work equally well. Some programs or applications simply run by a binary. By name of application one can find out where binary is located. You simply can take over /usr/sbin/gparted - for to run this application gparted in entry of icon or application-name (like in cairo-dock). (in this case to run gparted root-password is necessary). Not the answer you're looking for? Browse other questions tagged unity command-line or ask your own question. 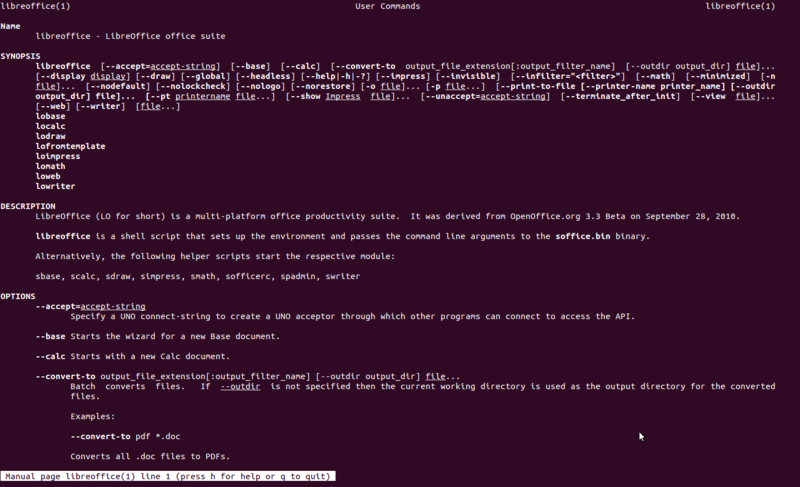 How to open any application using terminal in ubuntu? How can the executable name of a program listed in a Dash search be determined? How do I find out which program is associated with a Unity launcher icon? How to get the command for existing launcher entries? Where can I find a folder containing icons of all my applications, that I can double-click? How do I confirm that I have found the correct package name? How to find out which software is opened by which command? How do I make a custom launcher for terminal applications? How do I make Unity remember which applications are in the launcher? How do I run an application with arguments from the command line without losing the terminal? How can we get the command line of a running application? 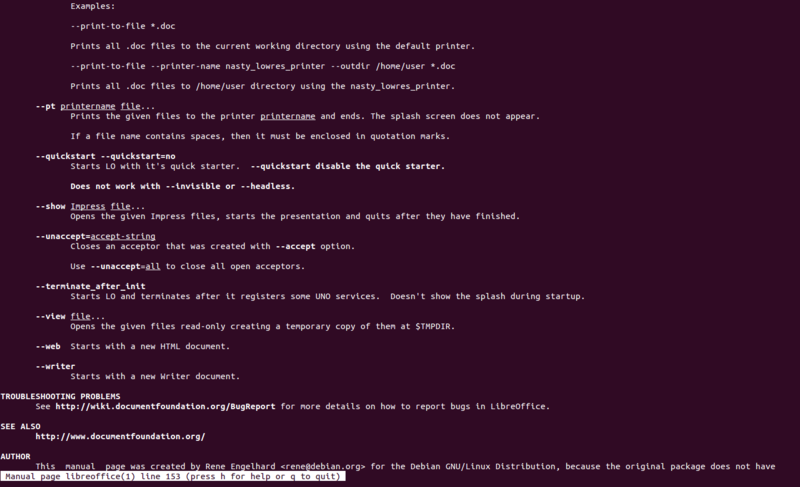 How to run sh file from terminal? how to find the installing path of some install application?